Alfred Mira was born in 1940 Manhattan, New York in Greenwich Village and grew up in Corona, Queens. He is an accomplished oil painter who moved to Boston in 1968. With 47 years of experience, he is influenced by the stillness of timeless structures. In 1958, Mira attended Fordham University for one semester, and knew right away the academic life was not for him. He quickly quit college and traveled to Rome, Italy, with his father Alfredo S. Mira, a Sicilian Immigrant. Alfredo introduced the world of Art to his son, Alfred, while he took trips to France to paint. Alfredo S. Mira is also a celebrated artist, with his art displayed in museums across the United States. Alfredo's art is sold by upscale dealers and auction houses such as Invaluable, Skinner, Christie's, and Heritage Auctions. Upon returning to the US, Mira joined the holy order, with three years as a Franciscan brother, and four years as a Trappist monk at St. Joseph's Abbey in Spencer, Massachusetts. Taking this knowledge with him, he applied these principles to his life, dedicating his time to his family, art, and spirituality. He started painting portraits for people in the 1970's-90's. Clients sat for up to four hours for a custom portrait. When the busy modern life became vogue, his client base suffered. 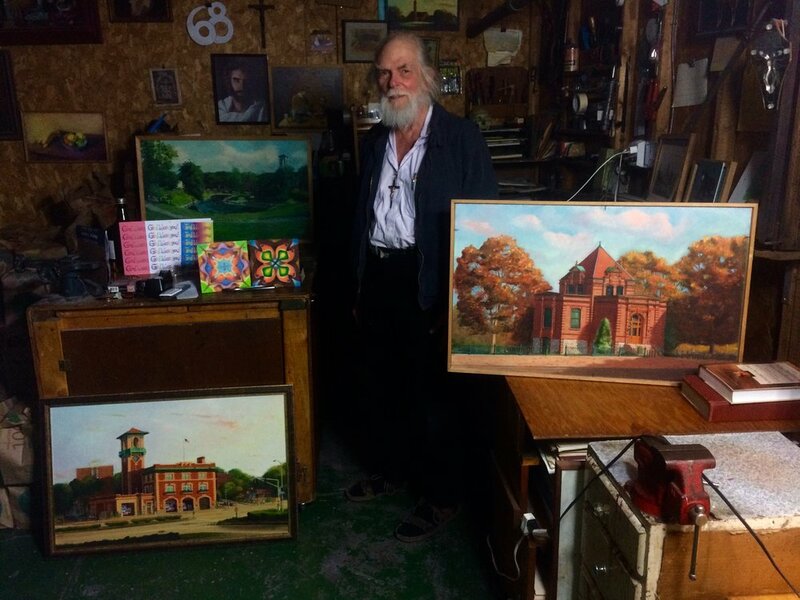 He took to the neighborhoods of the greater Boston area to paint the beautiful New England architecture. Sitting on the street corners for up to three days, these masterful paintings came into existence. Rain didn't deter Mira's work, and he would remove a seat from his 1966 Volvo, making room for the tools of his craft and himself. He would paint pictures from inside his cherished, unique car. You may see Mira driving around the Boston area in his 1966 red and white Volvo with "God Bless You" painted on the trunk. He currently lives in Allston, Massachusetts where he continues to paint, print spiritual cards for Thousands for Free, and collect books for prisons.